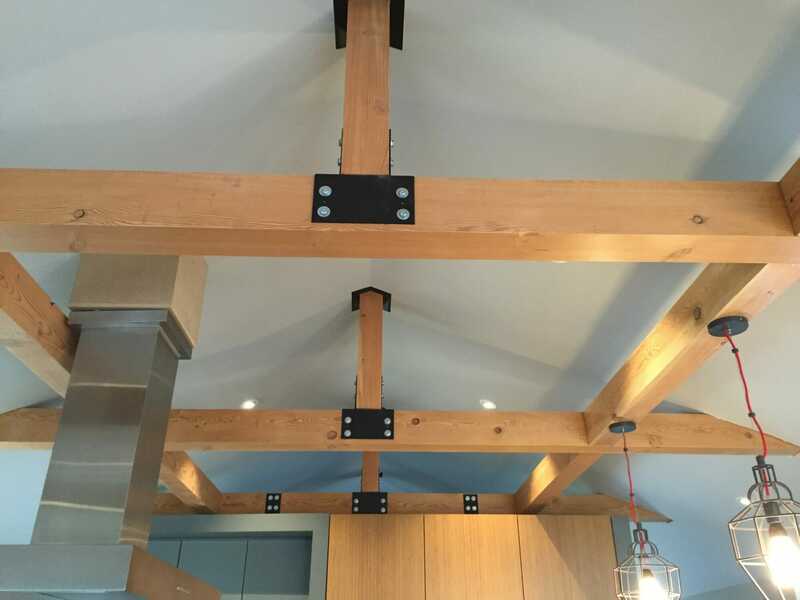 We recently shipped some Douglas fir beams to a client in NJ for his kitchen project. The timbers are a Select Structural grade and a Free of Heart Center (FOHC) cut, with the beautiful grain and natural strength inherent in Douglas fir. I love the clean lines and very modern look of the space. The timbers bring a warmth to the room as well. Great job, Adam and family! 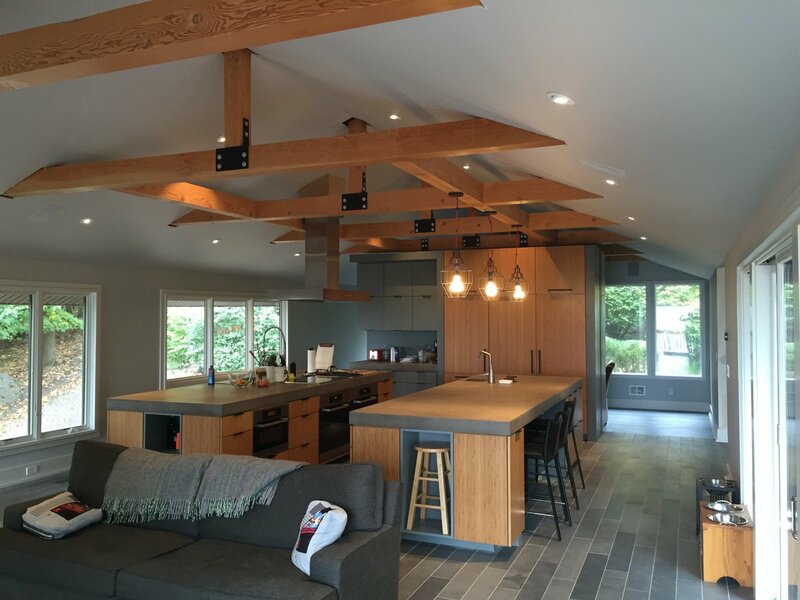 Thanks for stopping by our timber framer’s blog. 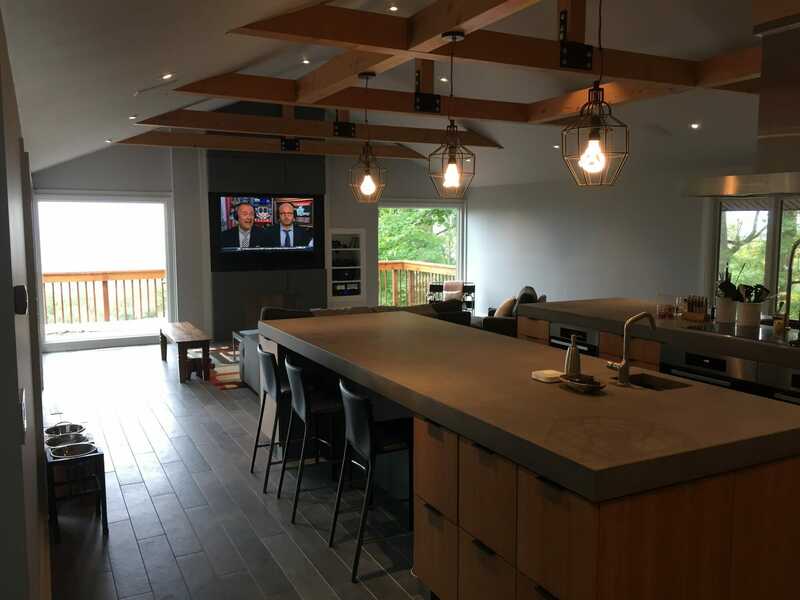 If you like this kitchen, or have any timber work questions, we invite you to get in contact, ask an expert, or share your thoughts in the comment section below! The beams do add warmth to this modern setting, they make the room!! Great job you guys. I have had a log home now I want to build a timber frame.